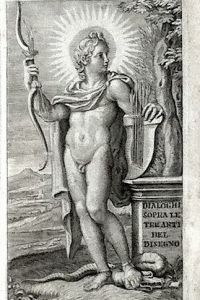 In 8vo; ll. 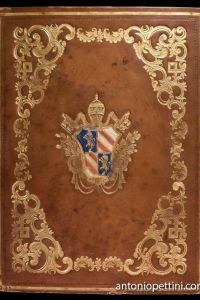 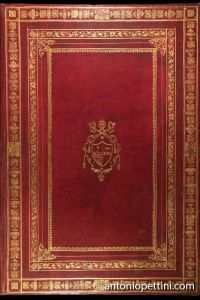 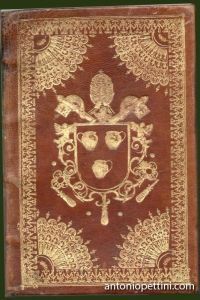 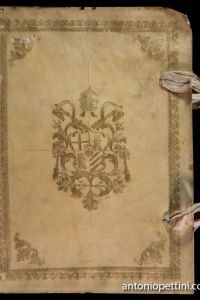 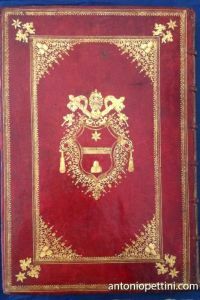 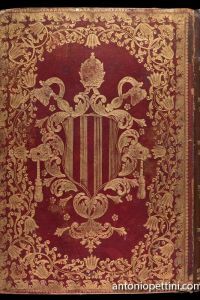 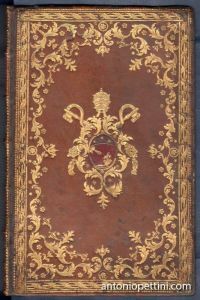 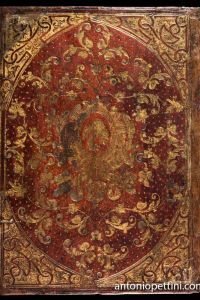 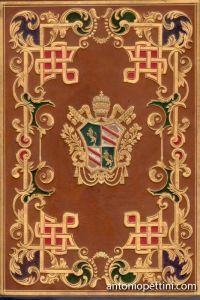 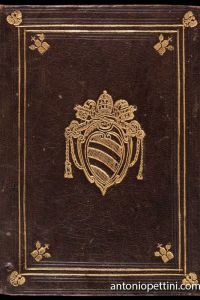 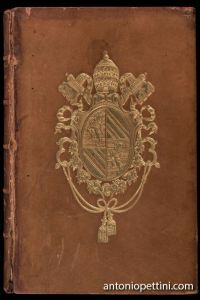 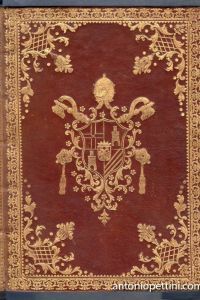 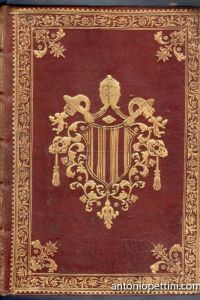 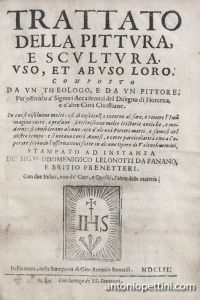 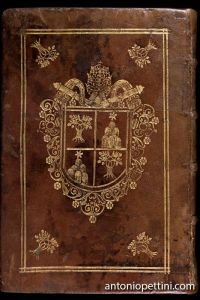 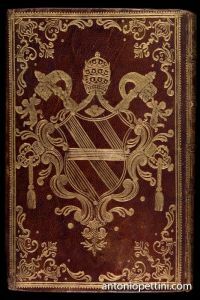 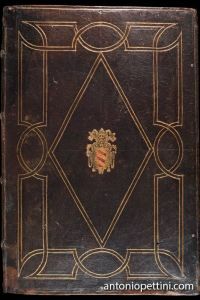 64; a printer’s mark on title page and on last page, woodcut decorated initials; half calf binding. 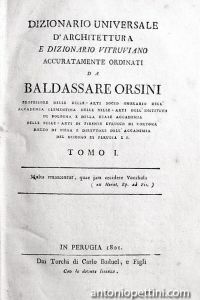 Original and only edition. 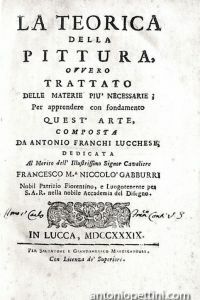 A fine copy of one of the most important Italian works of art critics, in which the author affirms the superiority of sculpture on painting, in a debate very vivid between Italian art critics from XVI century. 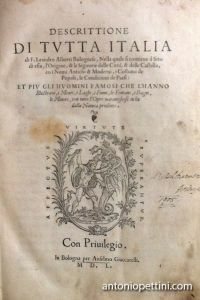 In 1548 Paolo Pino wrote the “Dialogo della Pittura” affirming the painting’s primate over sculpture; Doni, with his “Disegno…” sets up his polemic answer, upsetting Pino’s theoretic position, but also identifying in drawing the common root of both arts; the very ability in drawing was said to be missed by Venetian artists. 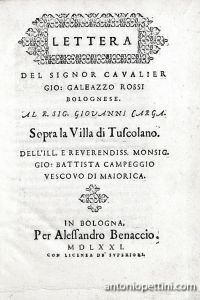 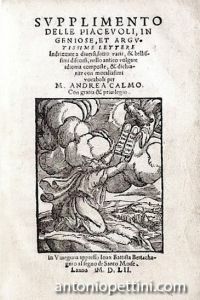 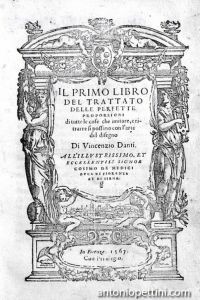 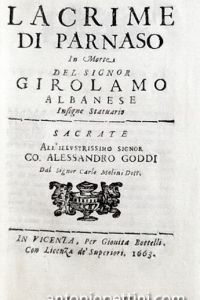 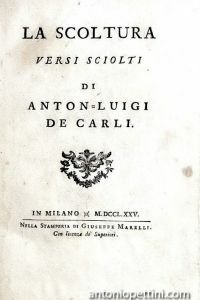 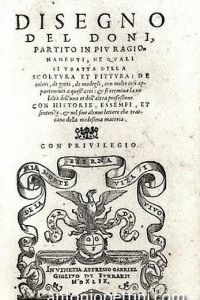 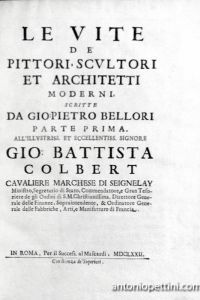 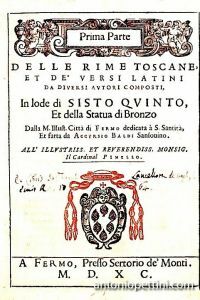 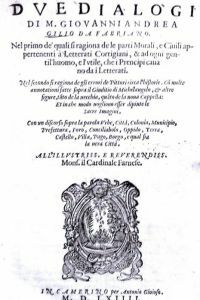 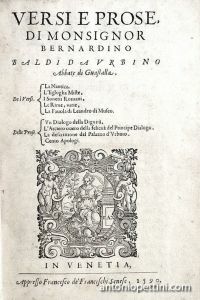 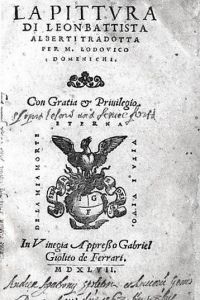 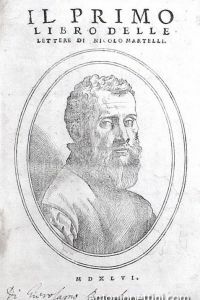 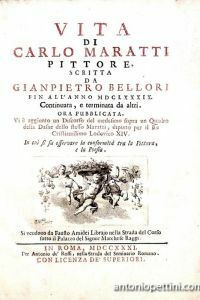 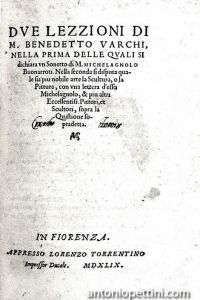 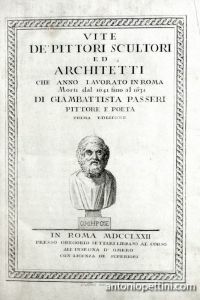 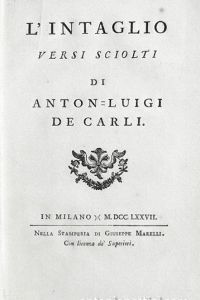 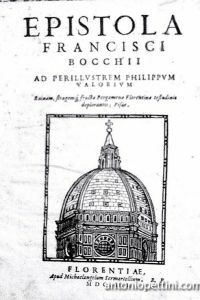 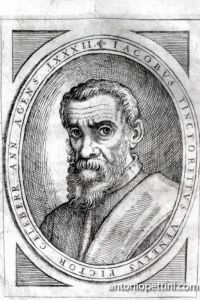 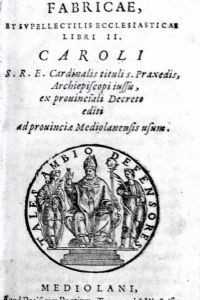 Although Doni publisheshis volume in Venice, the florentine artists are prevailing (Michelangelo as a sculptor overall), and this raised a suddent counter-attack by a venetian writer, Michelangelo Biondo, in his “Della nobilissima pittura”. 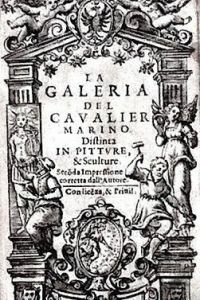 With a list of mentioned artists. 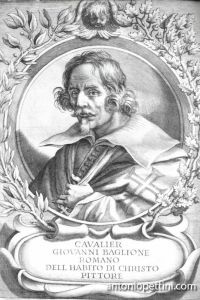 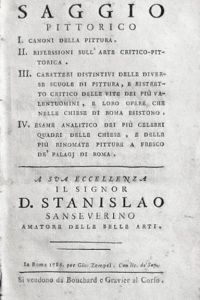 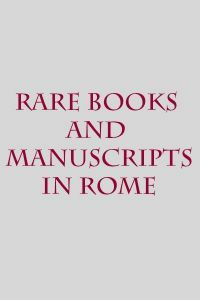 Steinmann-Wittkower :Michelangelo Bibliographie, 570; C.Ricottini Marsili-Libelli: “Anton Francesco Doni Scrittoree Stampatore”, Biblioteca Bibliografica Italica, 21, 1960, n. 19.